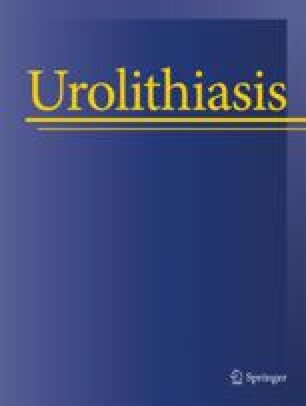 In Europe, phytotherapeutic preparations have been prescribed for the treatment of symptomatic benign prostatic hyperplasia (BPH) for over 20 years [l–4]. In these countries, phytotherapeutic preparations represent approximately l/3 of total sales of all therapeutic agents sold for the treatment of BPH. In France, and other countries, phytotherapeutic preparations are the most widely used drugs for the treatment of BPH. In Asia, Africa, and India, phytotherapy is considered a first-line treatment for BPH and has been utilized effectively for centuries. In the United States, the multi-million dollar sales of phytotherapeutic preparations for “the health of the prostate and bladder” attests to the widespread utilization of these agents [3, 4]. Two of the most popular phytotherapeutic agents that have undergone both clinical studies to determine their efficacy, and have been the subject of basic science studies to identify the mechanism(s) of action are Pygeum africanum (Tadenan), an extract from the bark of the African plum tree, and Serenoa repens (Permixon), a lipido-sterol extract of dwarf palm. Tadenan and Permixon are registered therapeutic agents of Debat Pharmaceuticals, and Pierre Fabre Medicament, respectively. Manufacture of both preparations are tightly controlled and subjected to strict quality control for stability of component composition. In regard to phytotherapeutic agents, each individual preparation (even from the same plant source) must be considered individually because of differences in the extraction techniques, preparation of products, composition, and biological activities. Thus, the clinical and biological activities of one preparation cannot be extrapolated to other preparations of the same plant source. Thus, studies described in this review which utilize the preparations that are manufactured by DEBAT (Pygeum africanum) or Pierre Fabre Medicament (Serenoa repens) are referred to by their trade names, Tadenan and Permixon, to differentiate them from other nonstandardized preparations of the same plants.